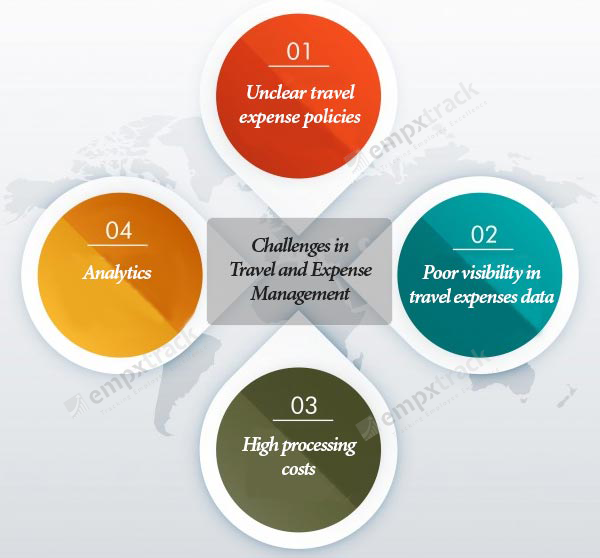 How to Overcome Challenges in Travel and Expense Management? Home » How to Overcome Challenges in Travel and Expense Management? 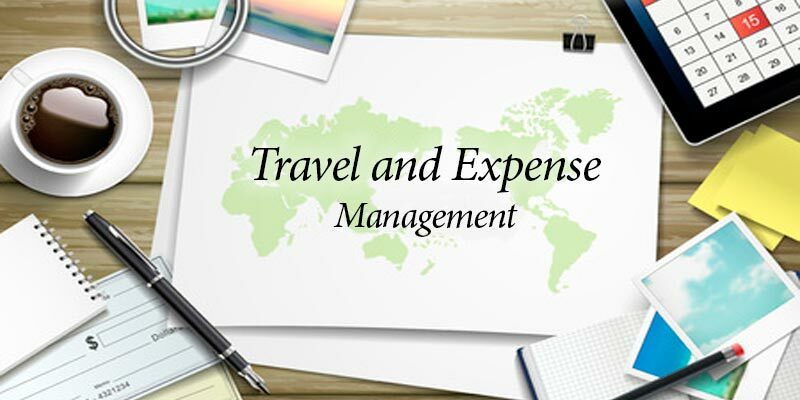 » Blog » How to Overcome Challenges in Travel and Expense Management? Today, business travel has become a common thing. Global expansion of a business significantly increases travel expenses for the company. As stated in a PayStream Advisors report on travel and expense management, 38% of companies spend more than $500,000 on travel and expenses, and 18% spend more than $5 million. Managing travel and expense spending is a common challenge for organizations of all sizes. The Global Business Travel Association predicts a 3.8 percent increase in costs for 2017. This may put extra pressure on organizations that are already struggling with cost management. Continuous increase in the volume of travel and expense records directly increases workload for the finance team in an organization. Outdated, manual expense management practices cause ineffective cost management, and may also result in financial leakages and loss of profitability. At Empxtrack, our Sales team frequently come across companies where expense claims and travel approvals are considered to be the most complex processes. In many organizations, finance teams manage travel and expense using outdated methods. Most of our clients also accept that delay in expense reimbursement causes dissatisfaction and frustration amongst their employees. The leadership lacks visibility when it comes to identifying the nature of spending and tracking employee expenses over a specific period. Lack of accuracy and visibility in these processes make it more challenging for an organization to control spends, while giving complete freedom to the employees to continue with work related travel. When employees go on a business trip, they need to be aware of the maximum acceptable payment to avoid inconvenience in expense reimbursement. Lack of information/updates on travel and expense policy put employees in trouble. Insufficient data on travel expenses makes auditing process more challenging and complex. Accounts teams often struggle to ensure data accuracy and provide up-to-date, correct reports to the leadership. leads to over spending and mismanagement of company budgets. A PayStream report stated that the cost of manually processing an expense report was $23 on average in 2014 which considerably increased to over $26 in 2015. The good news is: this cost falls to only $7 per expense for businesses that use a fully functional, configurable automated travel and expense software. These systems are designed with the prime aim to reduce the time and money spent on managing expense reports. Are you aware of the top spending categories in travel expense records? Do you know how much an employee can spend on food on a business trip? What are the expenses because of last minute bookings, cancellations, entertainment expenses etc. Can this be optimized? If not, you need to get the answers. Empxtrack Travel and Expense Software allows you to automate the entire process of travel plan, advances, and settlement of expenses Reimbursements. Contact Empxtrack Sales team to understand how your organization can simplify business, increase productivity, improve travel policy compliance, and decrease costs involved in managing travel expenses with travel and expense management software.